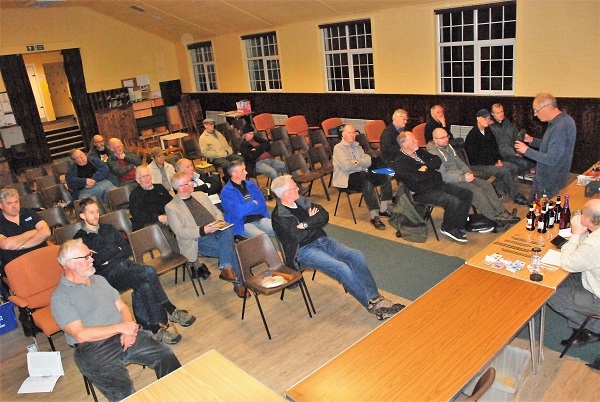 Dr. Brian Flynn GM8BJF, re-elected as President of the Lothians Radio Society at the AGM on 13th June, gave his Presidential Address at the first meeting of the new club year on 12th Sept 2018 at the Braid Hills Hotel. 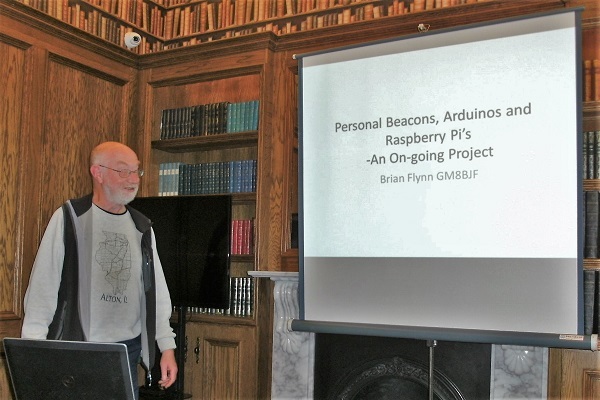 "Personal Beacons - Arduinos & Others". 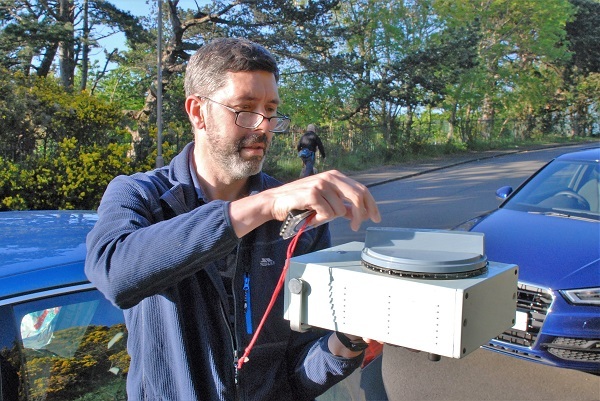 Hardware of 10GHz beacon built by GM8BJF, installed at GM3WOJ, Invergordon. (audible in Edinburgh). 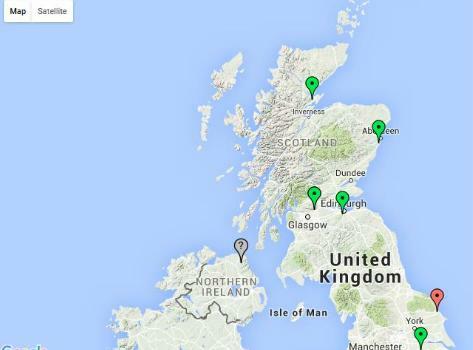 Map showing GM microwave beacons. Click for Full Report with all Brian's slides. 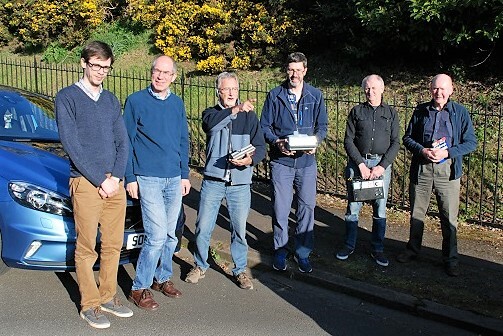 The GM3HAM contest group of the Lothians Radio Society operated GM3HAM/P in the Open section of the 2m Trophy contest on 1-2 Sept 2018 from our usual site near Gatehouse of Fleet in Dumfries & Galloway. Wx was 'damp & claggy' with intermittent rain. (No. 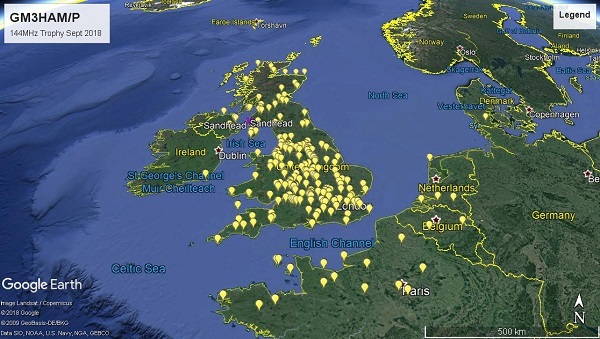 of QSOs similar to last two years). Host Pete GM4BYF at the BBQ grill. 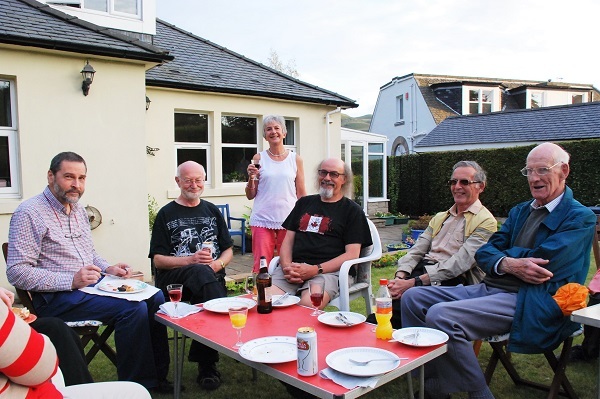 The LRS 2018 Summer Barbecue took place on Wednesday 4th July at the QTH of Pete Bates GM4BYF and XYL Kay GM6KAY at Fairmilehead with about 20. As usual a magnificent spread was wolfed up and washed down by ample BYOB! 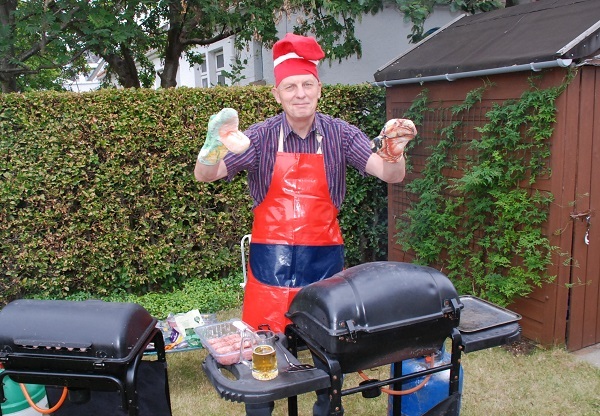 The Wx was fine, as it had been for several weeks, and we enjoyed the BBQ in Pete & Kay's beautiful garden. Click for full photo report. 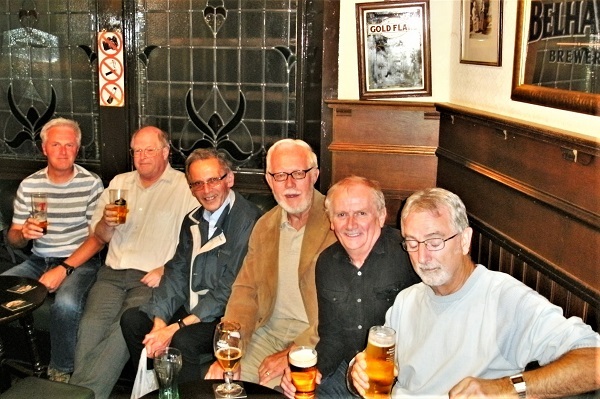 The fourth and last LRS Pub Night for summer 2018 was held on 22nd August at 'Wee' Bennet's Bar. We had an enjoyable evening, shared with a large number of members of a local running group "fresh" from a run, who were also rather thirsty! PN4: Alan GM3PSP, Brian GM8BJF, special guest Colin ex-GM7GIB, Briain GM8PKL, Peter GM4DTH, Mike GM8KCS. Also present: Melvyn GM4HYR. 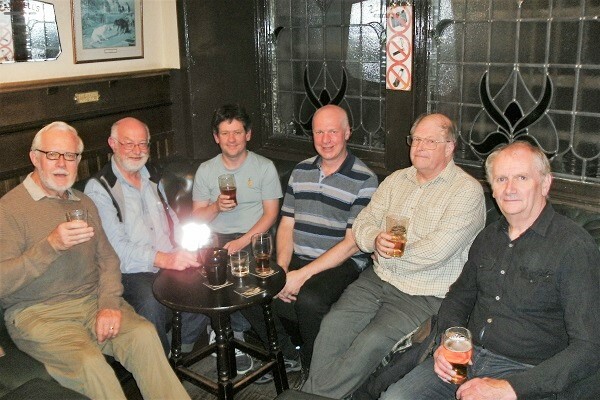 PN3 on 8th August L-R: Colin GM4EAU (drinking French water? 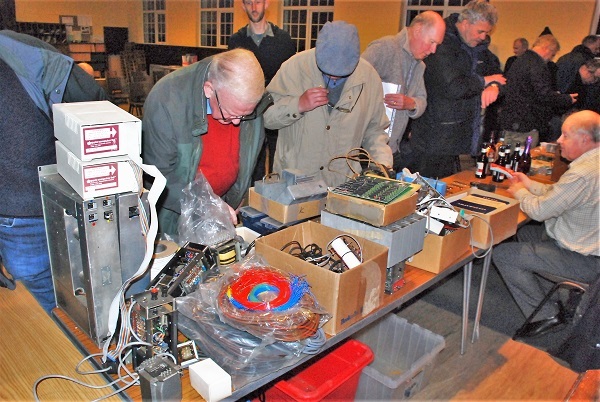 ), Peter GM4DTH, Vic GM3OWU, Alan GM3PSP, Mike GM8KCS, Melvyn GM4HYR (QRP). 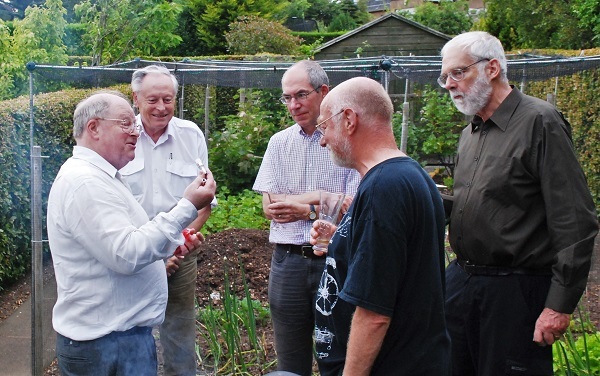 PN2 on 25th June L-R Alan GM3PSP, Pete GM4BYF, Mike GM8KCS, Peter GM4DTH. Also present: Vic GM3OWU. 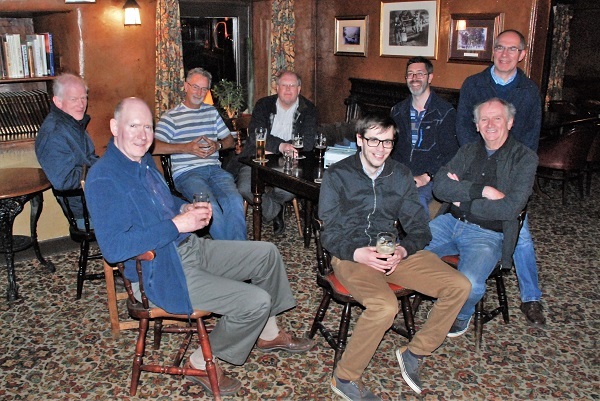 At Pub Night 1 on 11th July we did have competition from people watching the football semi-final on TV, but there was a good discussion and celebration of the recent VHF NFD in which we had won the Restricted Section. The LRS GM3HAM Contest Group operated RSGB VHF-NFD from our usual contest site near Gatehouse of Fleet on the weekend of 6-8 July. The Wx was outstanding and excellent scores were achieved. 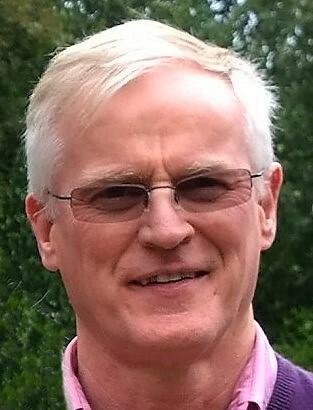 The results were announced on 16th August, with GM3HAM/P winning the Restricted Section (Martlesham Trophy) and Leading GM (Cockenzie Quaich). We also won both the 50MHz and 70MHz band awards. 6m: 95 QSOs 40,576 pts 9A5ST @ 1946 km. 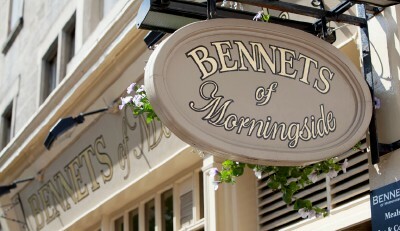 And of course we spent the Friday evening enjoying dinner and diet lemonade in the Masonic Arms.